A couple of the blogs I follow have a lovely tradition called “Three Things Thursday,” where the writers list three things each week they are particularly grateful for. I have decided to follow this practice. Being grateful for the many blessings in life seems like a good thing to do during a time when there is much to be anxious about. First, I am ever so grateful for my hyacinths: They are the first blooms in my garden, and this makes them most welcome. 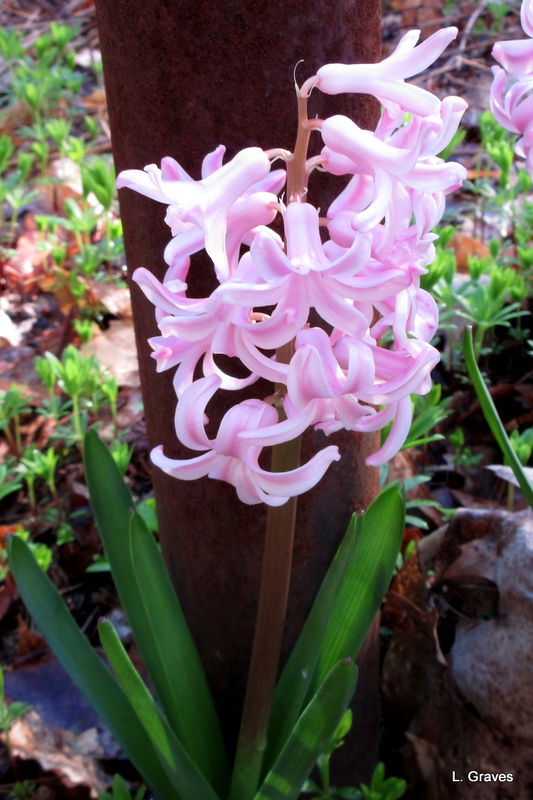 Planted over thirty years ago by mother-in-law, the hyacinths are not prolific, but they are faithful, coming up year after year. And, oh, how wonderful those flowers smell. Second, ginger nuts: This one particularly tickles my fancy. I first came across ginger nuts in the beloved Miss Read series, books set in English villages in the 1950s and 1960s. 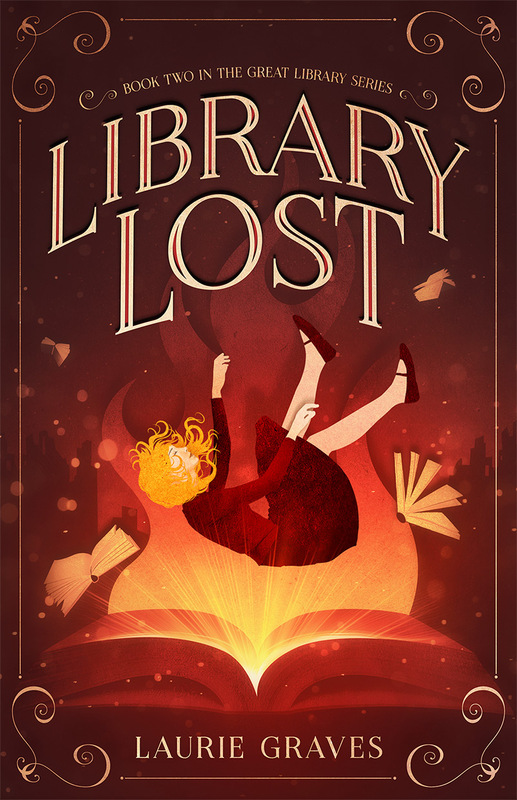 The stories revolve around the eponymous Miss Read, a teacher in a small rural school. Ginger nuts, a biscuit— or a cookie, as we call them across the pond— are a treat often served with tea. Now, I’m sure my English blogging friends are scratching their heads over my enthusiasm for what must be a common store-bought cookie in England. But I can’t help it. The name sounds so darned cute. And I couldn’t help but wonder, just what are ginger nuts anyway? Imagine my thrill, then, when I actually came upon McVitie’s Ginger Nuts at a local store. Quick as can be, I grabbed them, and as soon as I got home, I opened the package and sampled a cookie—or rather, a biscuit. Actually, they turned out to be what I suspected—what we Americans call gingersnaps. 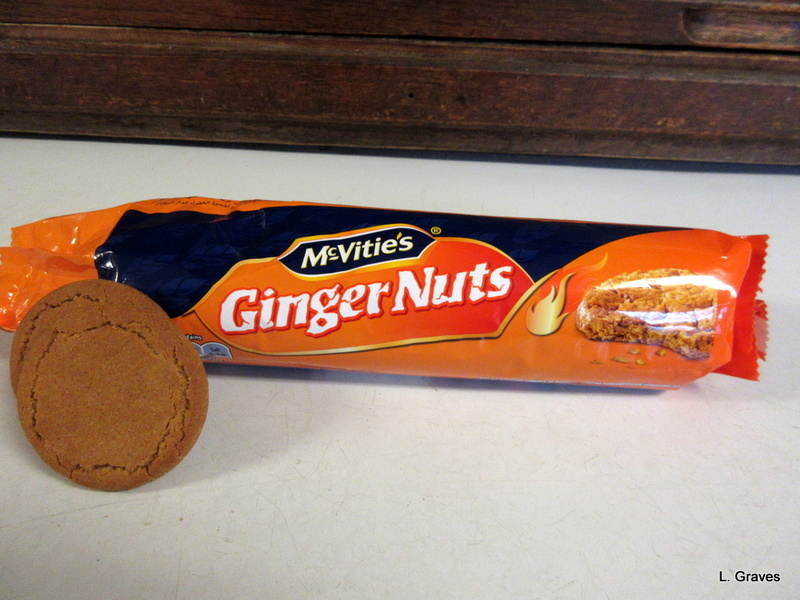 But very tasty McVitie’s Ginger Nuts are, with a satisfying crunch and a little zing. As I nibbled my biscuit, I imagined I was in the English countryside, so lovely and green with its sheep and hedgerows and cottages. Third, Maine, At Last—Lovin’ by MsMomA (aka Burndett Andres): I first met Burndett (Burni) Andres over ten years ago, when Clif and I were publishing Wolf Moon Journal, a small literary magazine. Burni submitted a piece—about Thoreau’s Maine journey, I think—and I was taken by her lively style and the wonderful narrative flow of her writing. When she started publishing an online newsletter, the Narraguagus News, I became a devoted reader. In the newsletter, Burni chronicles everyday life in Cherryfield, a small town in Down East Maine. Over the years, Burni has published a series of books comprising pieces from her newsletter. She has called this series Maine, At Last, and I have had the good fortune of reading her latest book, Volume 10, about everyday happenings in Cherryfield, Maine. 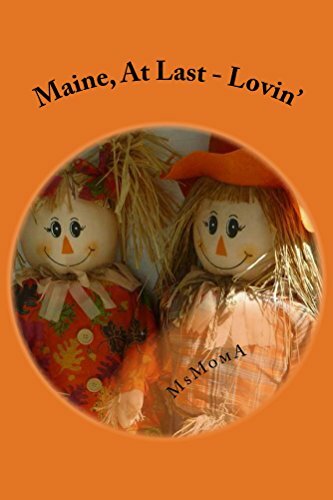 Maine, At Last—Lovin’ has the same lively style and wonderful narrative flow that I discovered in the first piece Burni sent me. In addition, there is a joy of life that ripples through the book. Here is what might be Burni’s coda: “Although I don’t feel called to do great things, I do feel called to do small things with great love and I like to think that comes through in my writing…” It most certainly does, and if the world followed Burni’s example, it would be a better place. Finally, she writes movingly about her beloved partner Ralph and his struggles with Parkinson’s disease. Some of these descriptions actually brought tears to my eyes. Hyacinths, ginger nuts, and a lively yet moving book. So much to be grateful for. Wow! You have shared a nice tradition, a new cookie to try with a delightful name, a new author to read, and lovely photos. What a packed column. Thank you! So much to be grateful for. Hyacinths are indeed lovely. I love hyacinths too though I’m not so keen on Ginger Nuts! Ginger nuts do have quite the strong taste. I do like hyacinths outdoors, but I’m not so keen when they are growing in pots indoors. It’s the smell – out in the open, it’s lovely, inside I find it cloying, so I’m delighted that your are bringing early colour to your garden. I’ve got a great recipe for ginner nuts – I plan a blog post soon. Yes, the smell is strong inside. Best left outdoors. Can’t wait to see your recipe for ginger nuts! It’s a good Thursday–lots to be thankful for! And I love a good gingersnap, too! So much to be thankful for! Keep an eye out for McVities’s Ginger Nuts.